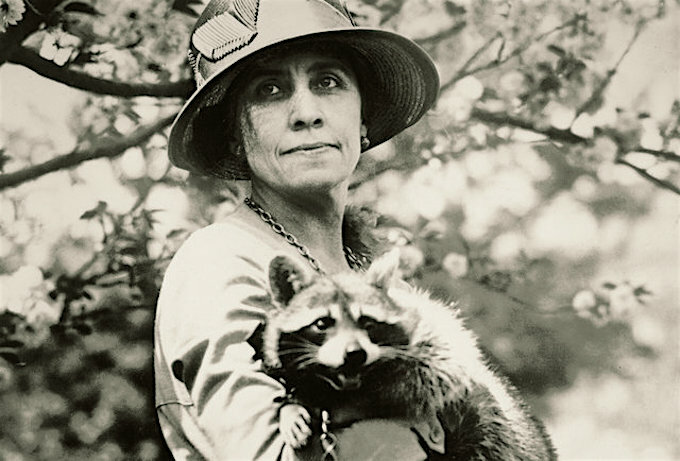 Grace Coolidge with Rebecca, a cherished pet raccoon. The Calvin Coolidge White House was justifiably called The Pennsylvania Avenue Zoo. One of the best-known four-legged White House residents during the Coolidge years — a raccoon — had actually been meant to be eaten. She was sent from Mississippi to be part of the White House Thanksgiving meal in 1926, but the Coolidge family found her to be friendly and docile and decided to keep her as a pet instead. The president (who mistakenly called her a “he”) announced the raccoon’s arrival in one of his regular press conferences. 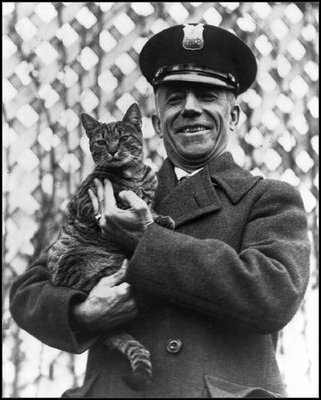 “I don’t think he is quite grown yet,” Coolidge told reporters. “He is very playful, very interesting, and seems very well trained and well behaved.” The president also asked the press to help him come up with a name for the new pet. Rebecca, as she came to be called on Christmas Eve of that year, soon became a favorite of the president and First Lady Grace Coolidge, and was a frequent sight at White House events, including Easter egg rolls. “We…had a house made for her in one of the large trees with a wire fence built around it for protection,” wrote Mrs. Coolidge. President Coolidge was known to walk around with Rebecca draped around his neck, while photos show his wife cradling the raccoon in her arms like a cat. The raccoon was clearly very special to the Coolidges. Members of the White House staff reportedly disliked the raccoon, since she often ripped both clothing — especially expensive silk stockings — and upholstery. A male raccoon, Reuben, was given to the Coolidges in 1928 as a companion for Rebecca, but newspaper reports reveal that the two did not get along well. The rambunctious Rebecca escaped from the White House grounds a few times, and the president and his wife eventually decided to give her to the Rock Creek Zoo (now the Washington Zoo).